One of the bounties we received by letting our field revert to nature was an explosion of blackberry. Blackberries are one of our most productive crops that supplies us with fruit though winter and into the spring. 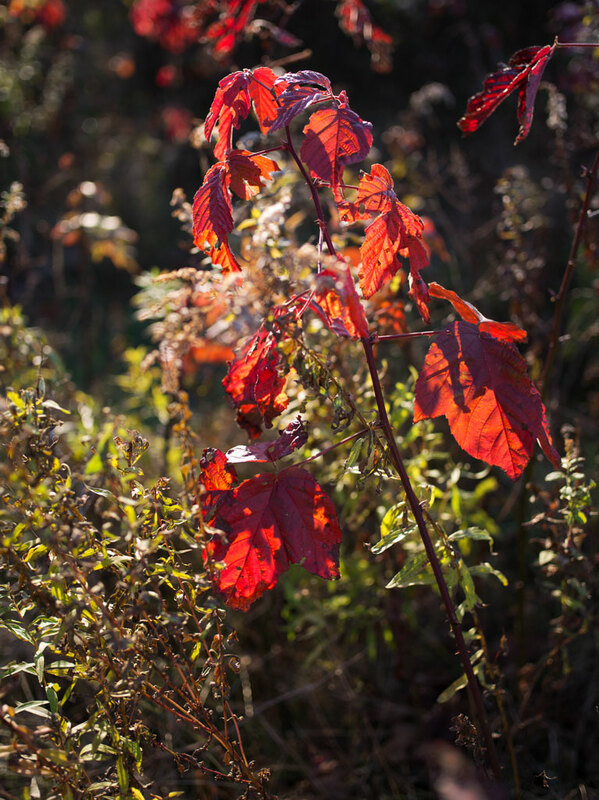 But now in late fall, over two months since the last berry was picked, the blackberry canes are putting on a wonderful display of color.